Nothing speaks luxury like having a towel warmer in the bathroom. After your luxurious bath or shower, it is nice to have a warm towel to wrap yourself in after you get out. 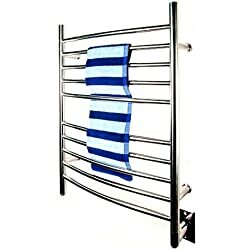 Not only do towel warmers warm towels, they also help to dry towels and other clothing, such as sweaters and serve as a main source of heating in a room, usually a bathroom or laundry room. 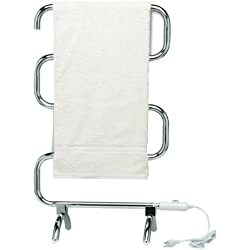 A towel warmer will afford you fresh, fluffy and dry towels all the time. By putting your towels on a towel warmer, you ensure that your towels are not getting mildew or smelly from lying around in a wet pile on the floor. Towel warmers are energy efficient and also provide a lot of heat for a room in your home. Operating independently from your central heating system, they are maintenance free and energy efficient in heating a room and keeping your towels dry and warm. They can be used all year long and usually warm up in a matter of 30 minutes. Towel warmers have flexible temperature settings, allowing for the difference between heating a room (setting the temperature on high) and warming towels (low temperature setting). There are generally two types of towel warmerselectric and hydronic. Hydronic towel warmers are connected to the hot water supply in your home and have a pump to circulate the hot water. Electric towel warmers run on electricity and are self contained, acting independently from your central heating system. If you have central heating, your best choice is probably an electric towel warmer. There are a variety of styles of towel warmers that come in a variety of price ranges. They come in a variety of colors and materials to best fit with your dcor. 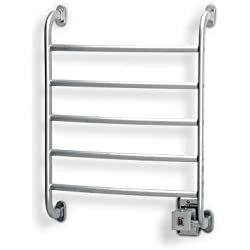 Towel warmers come in two types, free standing and wall mounted. Depending on the space you have available, your color dcor and what type of towel warmer you prefer, there are a wide variety of options available to suit your needs.